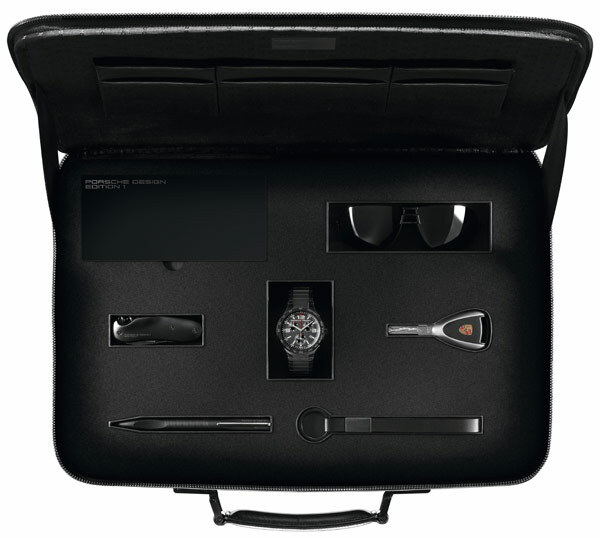 So, i was just gushing about the incredibly designed Porsche Design Edition 1 Cayman below, and as much as i love the car, i was incredibly curious what that accessories case is like… Just got this high res image from Porsche of the contents of that case. Close ups below. Although not as 007 as i’d imagined when you opened the case… those are some impressive black designer accessories in a zip leather briefcase… interesting how even your key comes in the case. Can’t you just imagine a man in a dark suit and those dark glasses walking up and handing you this case as he nods his head towards the car parked across the street as he strolls away? Ok maybe now i’m just dreaming about great ways to have your Porsche Design Edition delivered to you. “Stuttgart. Dr. Ing. 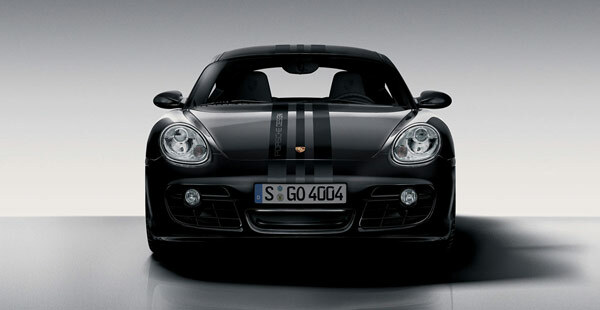 h. c. F. Porsche AG of Stuttgart, Germany, is to expand its mid-engine coupé model range with the launch, in November 2007, of the Cayman S “Porsche Design Edition 1”, a limited-edition special series. Porsche has incorporated various design disciplines into this very special mid-engine coupé: the black exterior emphasizes the purist nature of the 295-bhp sports car and, at the same time, is a nod to Porsche Design and the famous Chronograph 1s designed by Ferdinand Alexander Porsche precisely 35 years previously.” Just announced today ~ the new Exclusive all-black special edition Limited-edition Cayman S as Porsche Design Edition 1. 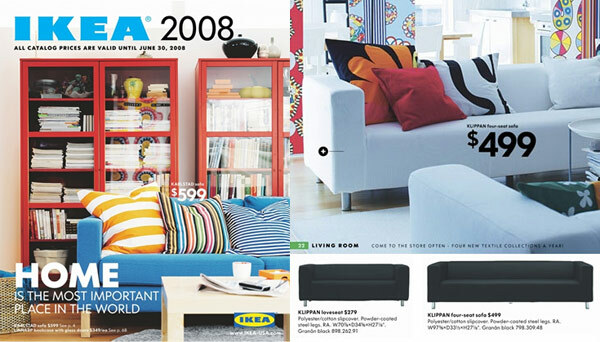 This is making me drool more than TasteSpotting. Not just any Porsche… but Porsche utilizing the resources of their incredible industrial design studio… so they are also having designer accessories (unfortunately i haven’t found pics yet) - “The Cayman S “Porsche Design Edition 1” standard equipment thus includes an elegant briefcase containing the Flat Six Chronograph, a pocket knife, a pair of sunglasses, a pen, and a key ring – all in black, even the knife blade, in keeping with the vehicle’s styling. The number of Cayman S “Porsche Design Edition 1” units is to be as exclusive as this series-production luxury package: only 777 are being built, and each will be identifiable from a badge on the lid of the glove box.” Mmmmmm. UPDATE: I have found the accessories! Nalgene - its not just a container… now they are using it as packaging! 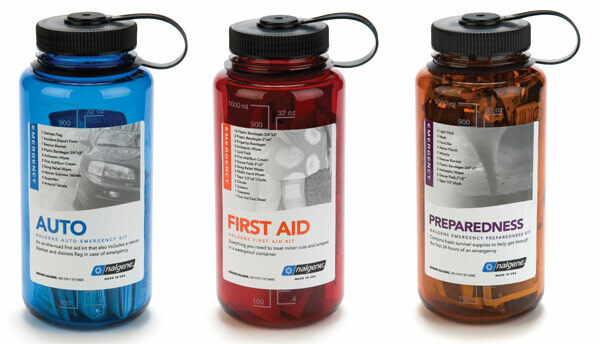 Brilliant and noteworthy move by nalgene which has already spread into so many markets - for being basically a container manufacturer… so its for scientific purposes, then outdoors, then travel/airport security checks, then kids, then various caps and kits and flasks… and now you can get Auto, First Aid, Preparedness, Heat Stress, Dog, and Kid kits! All in your usual 32oz classic nalgenes… each with a signature color for branding naturally. All of the contents of each kit are listed after the jump as well as more pics… and if you don’t find something like the First Aid or Preparedness kit as tempting as i do to leave in the car, etc… well it’s just an interesting idea… make your own! I’m sure you have a bunch of nalgenes unused around the house too. 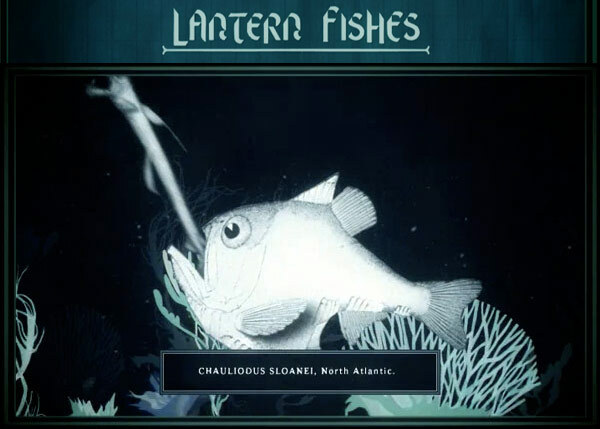 Click the images to find out what it is! Thought i’d give you a mix of design, food, and fashion to kick off your week. 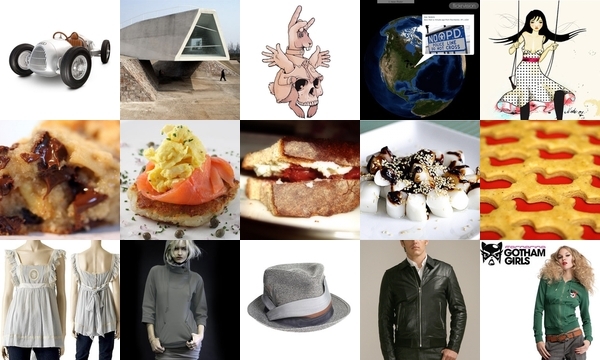 From Audi pedal cars and Flickrvision… to ooey gooey choc chip cookies and a gourmet grilled cheese… to an adorable jovich-hawk top on sale and fornarina’s Gotham Girls harley quinn hoodie. Happy Monday! 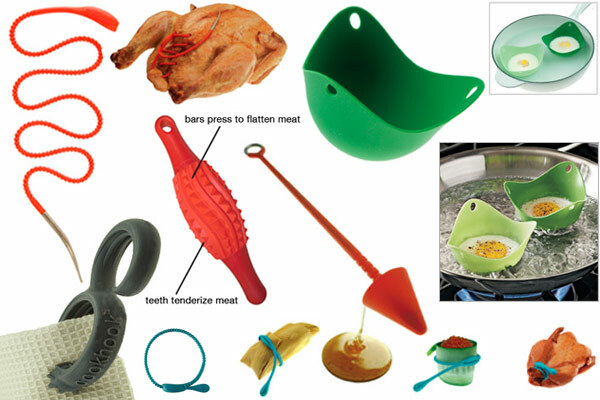 If you recall Fusion Brands’ Food Loop that i wrote about back in December of 2005… It just came to my attention that they’ve REALLY expanded the line… and there are some very impressive colorful brilliant uses of silicon to add more color to your kitchen. There is now a Mini Food Loop… a Poach Pod (boil water, and float this with an egg in it)… the Food Loop Lace (letting you play surgeon with silicon thread and built in needle)… the Drizzle Stick (prettier than any honey stick i’ve seen in a while)… the Cook Hook (magnetic clasp with a hook… an alternative to my use of cable ties to create loops on the dish towels)… and the Tender Press (to tenderize and flatten). More images below, and view the full line at Food Loop. 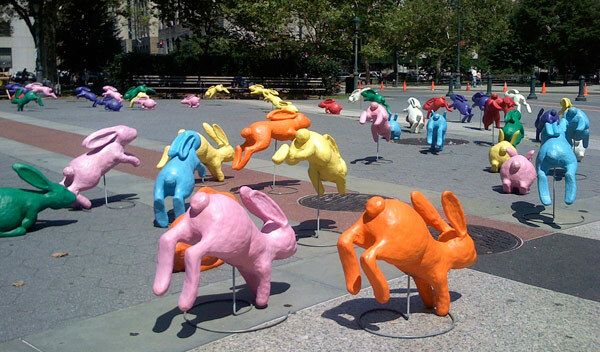 So i’ve been hearing about the Sony Bravia play doh bunnies running around NY all weekend, and finally sat and tried to dig up whatever info and images possible (thank goodness for flickr… particularly dennyliem and davidwatts1978 who had great sets up from the shoot)… and i’ve compiled them below for a quick overview (and they just make me smile ~ i wish i could have seen them in person!). Just when i thought the Insurgent Wilderness Gruppo couldn’t get any more enticing… they add Series 6, the IWG Baby CUBS! Each one will come with a sharp stick, marshmallow, and eyeball. Hehe. 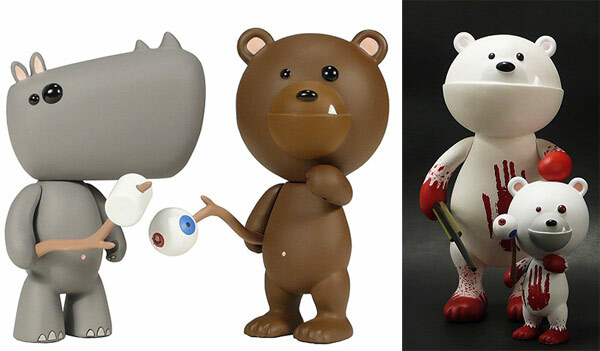 Also there will be FOUR additional Special 100 pc Editions of each character, including baby Nanook, son of Peary! Can’t wait, and they were too cute not to share. 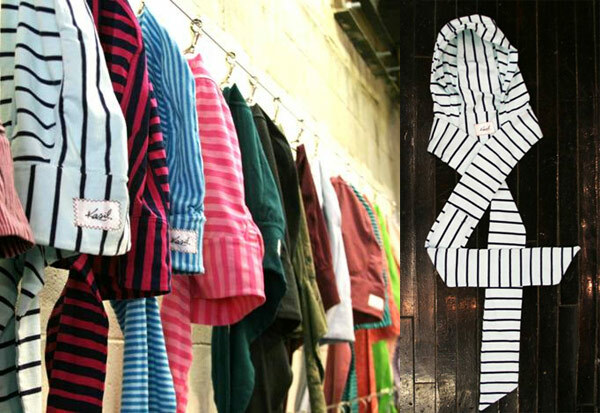 Scarf+Hoodie+(pocket & fun fabrics)+Kasil = SCOODIE! Ok, stop giggling, its actually pretty comfy. Especially as it gets chilly and windy in this so called summer SF weather, its a fun idea. And a nice touch with the ipod (or credit cards/id or cash, or whatever little things you want to stash in a place where few are likely to look) pocket, with button and kasil logo. So on unique new hybrid fashion pieces… here’s one i had to point out — and i was skeptical initially, but after having played with one a bit, its growing on me thanks to Matt of Plopculture - the Secret life of a Product Placement Surfer in LA - which is really one of my few basic template blogger sites that i read frequently (no offense, matt! ), and yes my blog reading in tabs really is that superficial when it comes to design sites (why, why, why have an ugly design blog?). Anyhow, i digress, clearly this week has gotten to me a bit… more images below! And you can find the scoodie below over at Revolve Clothing… and its not just for girls. This is a random LEGO intermission ~ it’s been a quiet design week… and it the majority of emails i send result in vacation auto-responders… so its just that quiet leisurely time of year! So here are some random lego pics from a today’s stop at the Lego store. So here’s my $1.50 duplo dragon… and below are the crazy angler and divers (complete with glow in the dark fangs, scuba masks & flippers, and spear guns! )… and the Star War’s Legos magnets and tetris magnets… (the secret of how they stick is a bit disappointing sadly - they just jammed magnets up their legs… and with any hair/helmets/backpacks, they have to lean off the fridge/white board a bit)… anyhow - go take a break! and play with some toys! I forgot how amusing/calming it can be to sit and build some legos… and then take it all apart and make something completely random with it. 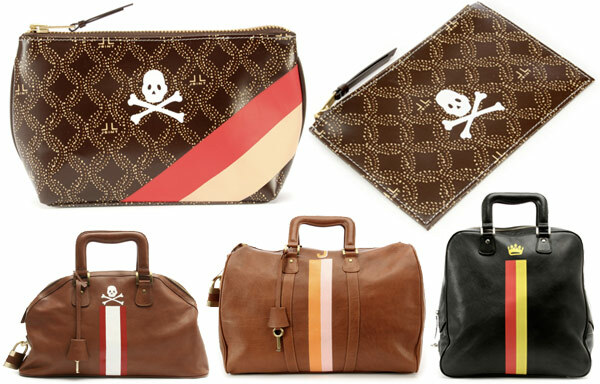 Jana Feifer’s latest line, Love Luggage Joint, made me smile today ~ you can choose various colors (black, white, brown, blue, etc) and which symbol you like (skull, crown, peace sign)… and how cute is that skull on the toiletry case and coin purse? Oh also watch out for the music, its just cute and retro enough to embed itself in your head.